Perth is the main gateway of Western Australia, where most tours in this wonderful state of Australia will either start or finish. 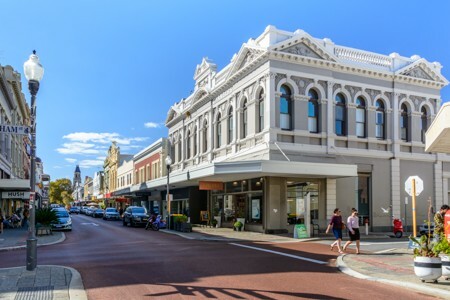 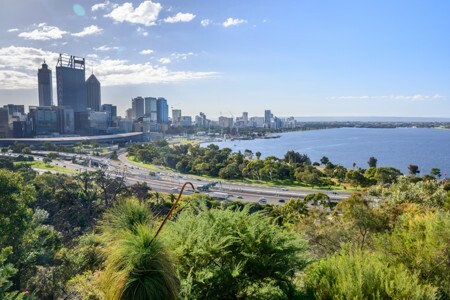 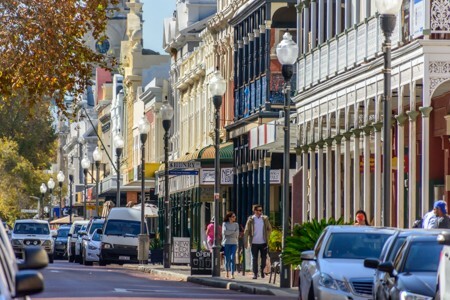 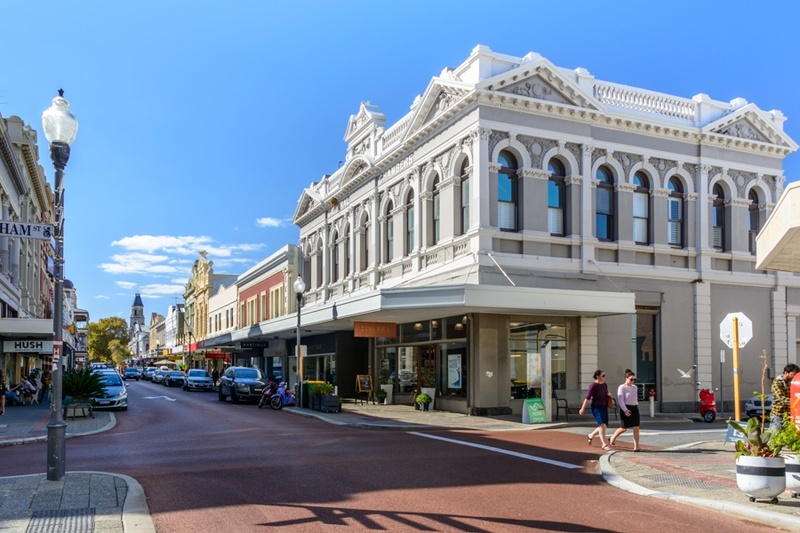 Perth has a modern business district where it is nice to spend some hours hiking among skyscrapers and small green areas, while nearby Fremantle offers a beautiful historic center with colonial-style buildings and a chance to visit the old prisons, now UNESCO site. 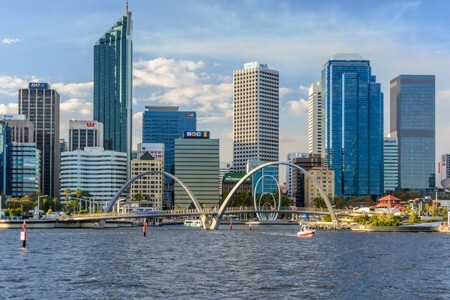 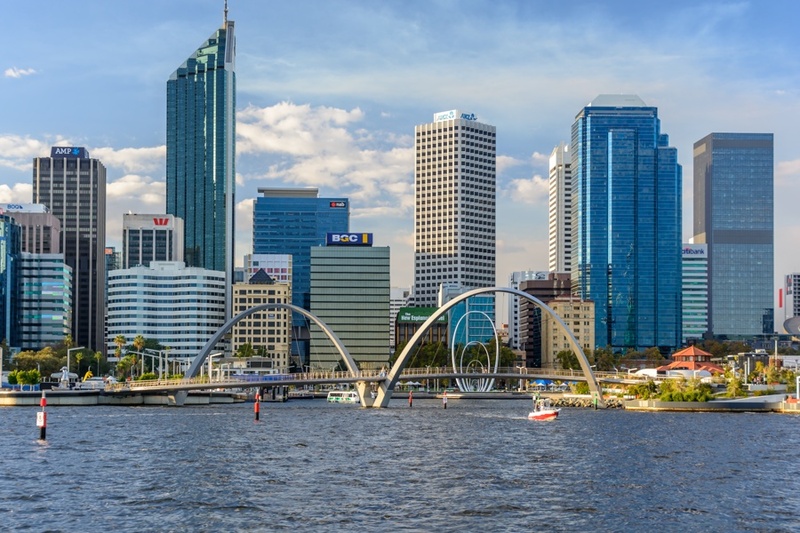 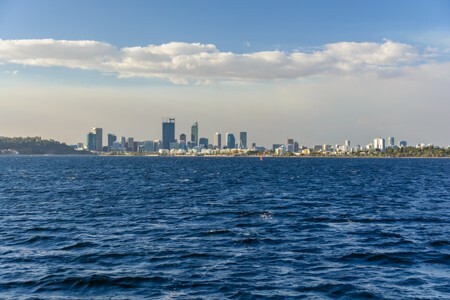 Perth is a modern city and is the capital of Western Australia: for its location, many trips to Western Australia will either start and/or finish right from this city. 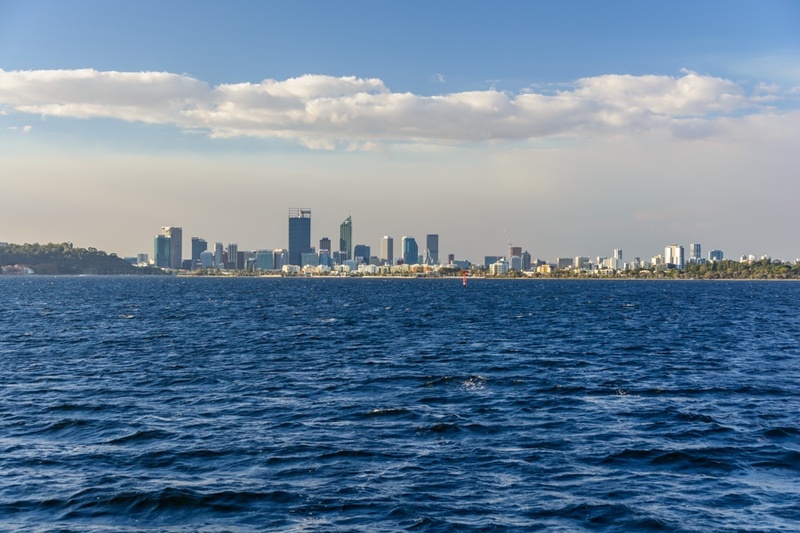 Perth was founded in 1829 as a colony along Swan River, mainly by European galleys who were deported here to obtain labor at a very low cost. 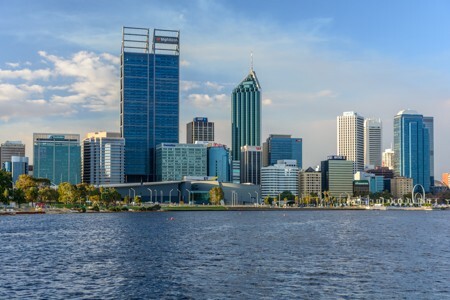 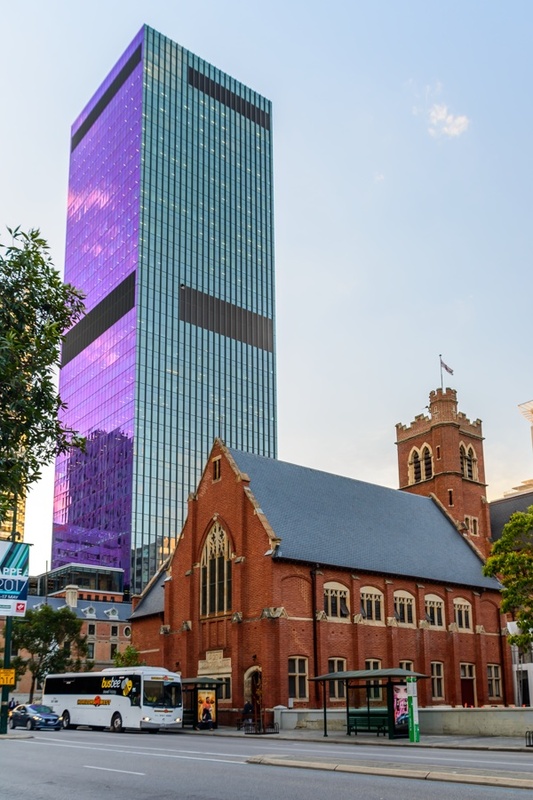 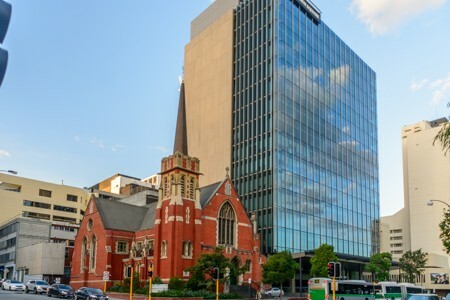 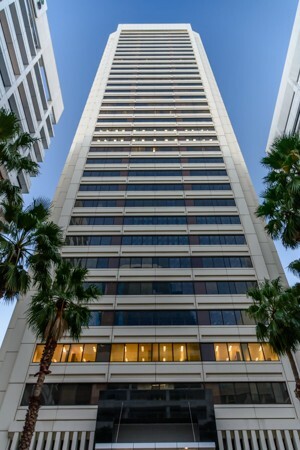 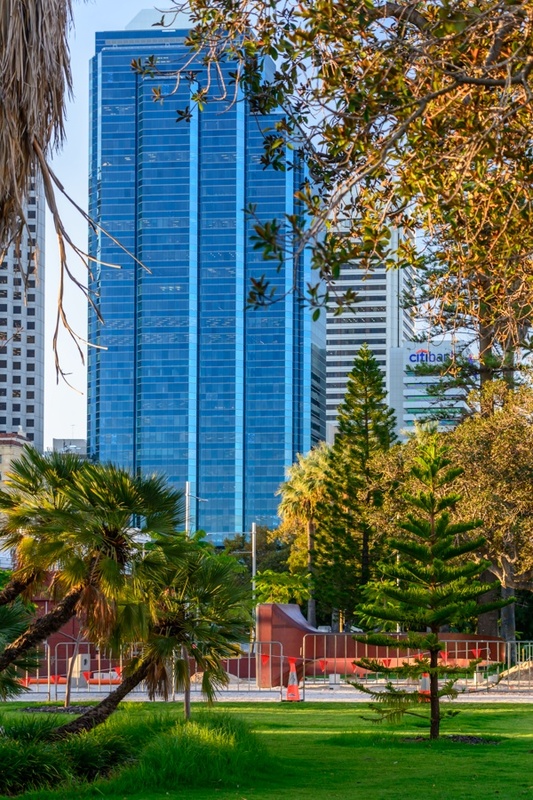 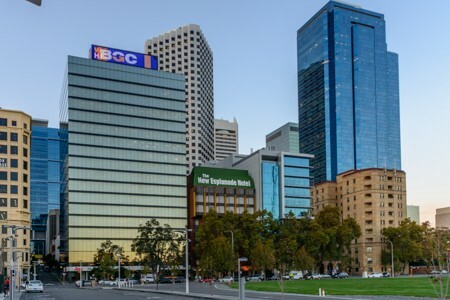 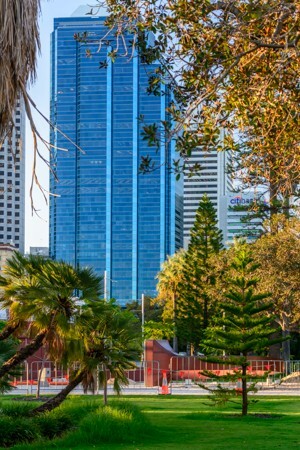 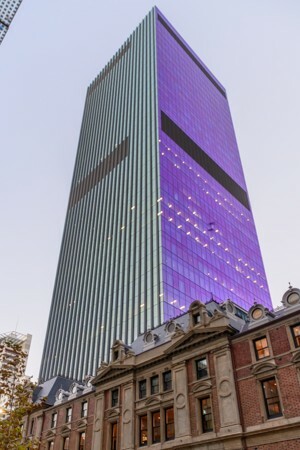 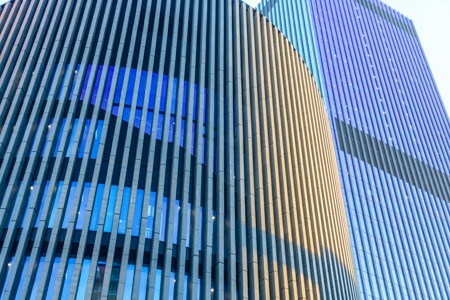 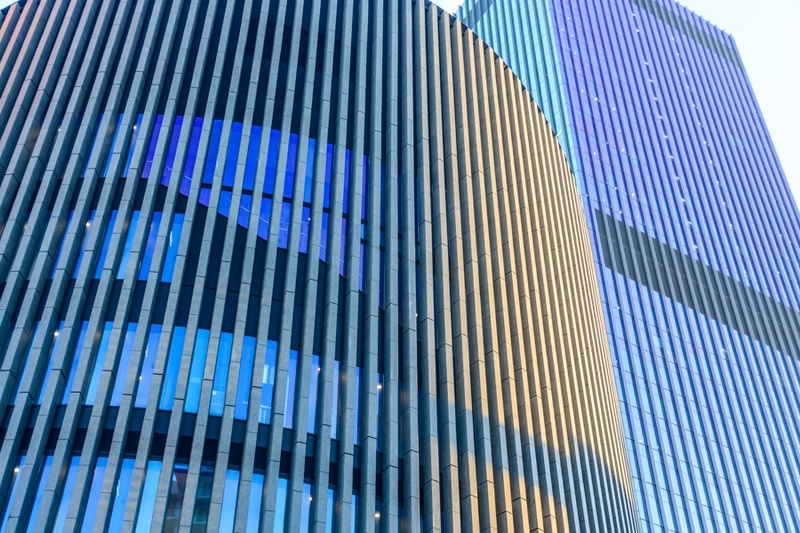 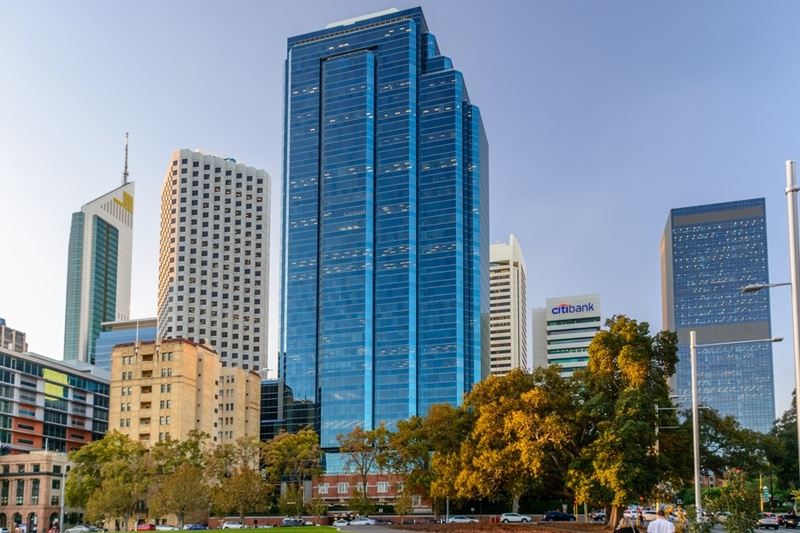 Currently, Perth downtown is an agglomeration of skyscrapers with a nice architecture, where it is pleasant to spend a few hours strolling through shopping streets and small green areas. 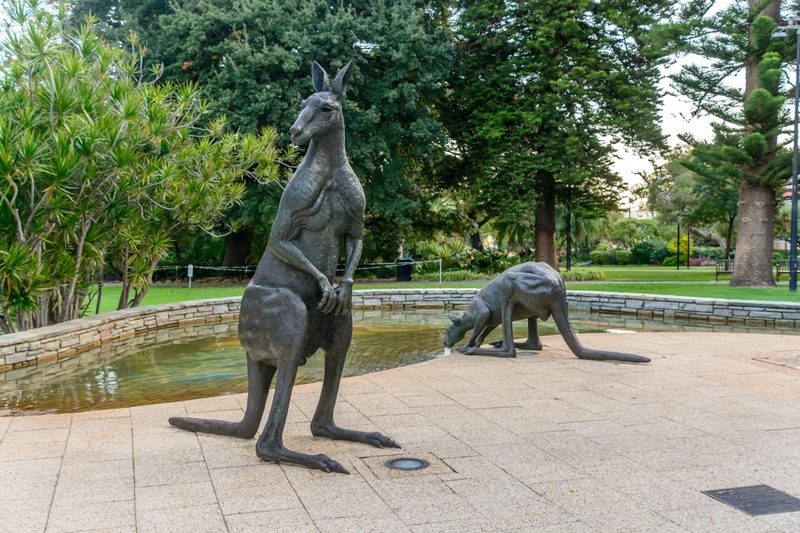 The Stirling Gardens gardens, with kangaroo statues, on the corner between St Georges Terrace and Barrack Street. Photos of Perth: skyscrapers, small green areas and a shopping street. 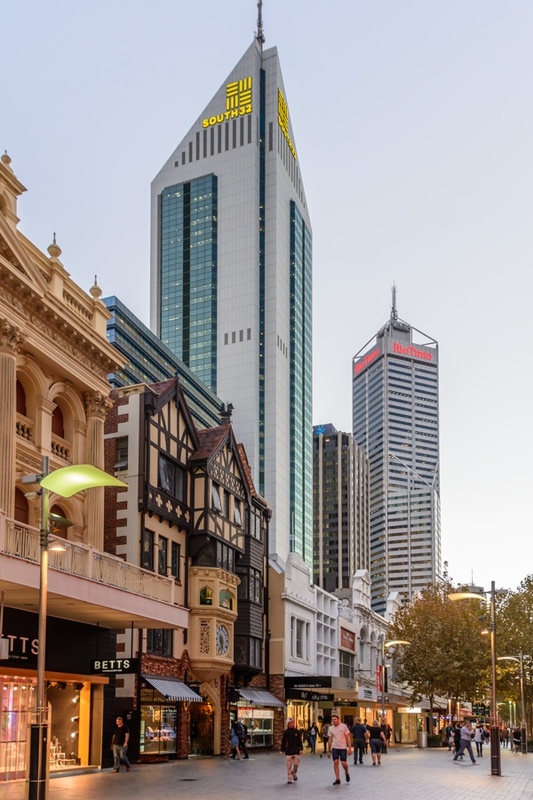 The center of Perth has a rather limited extension and can be easily walked in a short time. 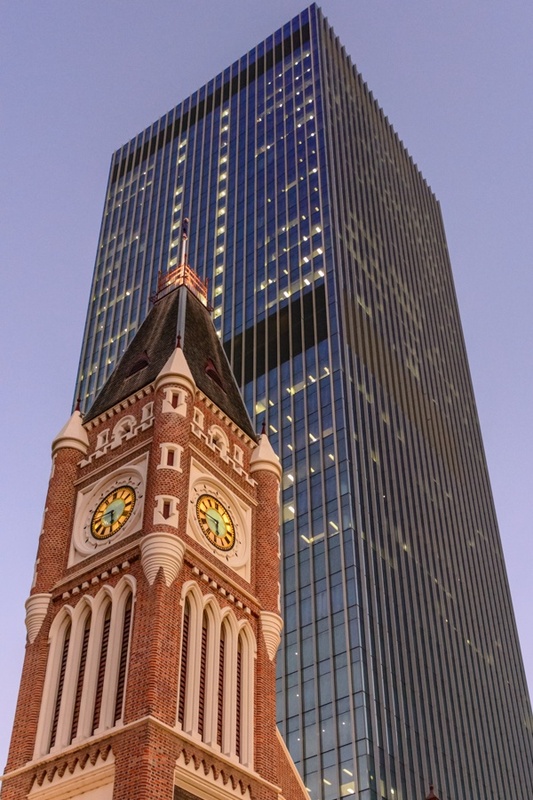 The architecture of Perth is very interesting, with a kind of contrast between ancient and modern styles. 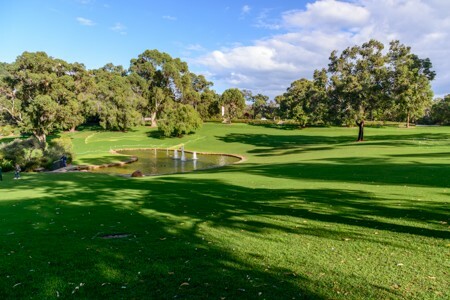 A very interesting green area where to relax and be in touch with nature is Kings Park. 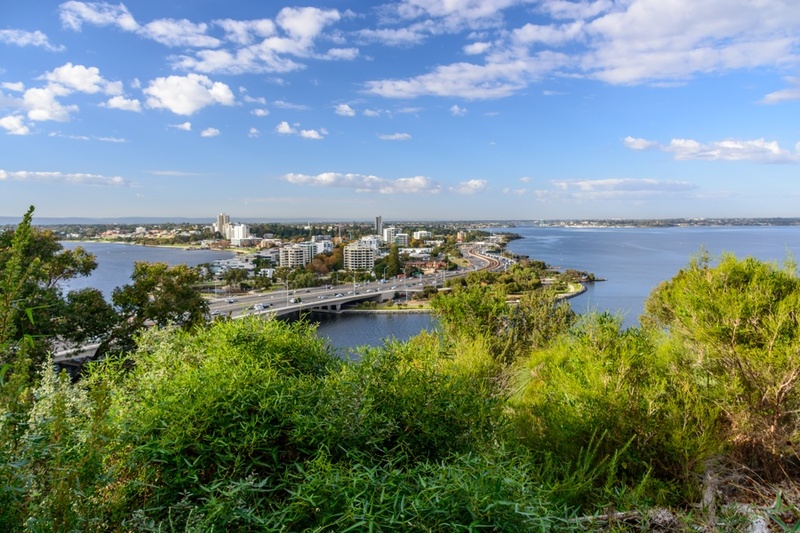 The park is located on a small hill not far from the downtown and offers beautiful views over the city and Swan River. 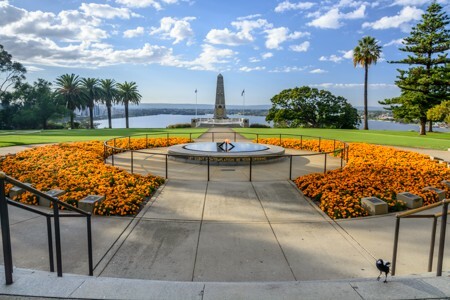 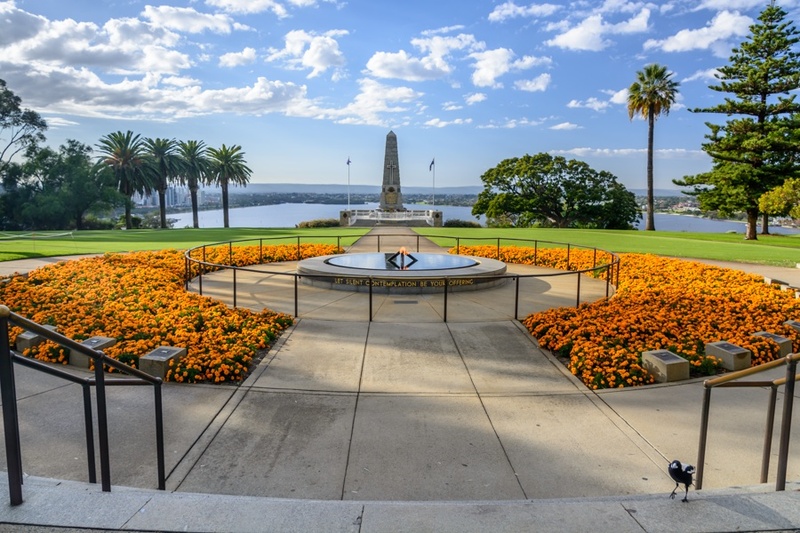 Kings Park includes a memorial dedicated by family members to Western Australian service men and women who died in World War I and World War II, while a botanical garden hosts numerous rare native plants of Australia. 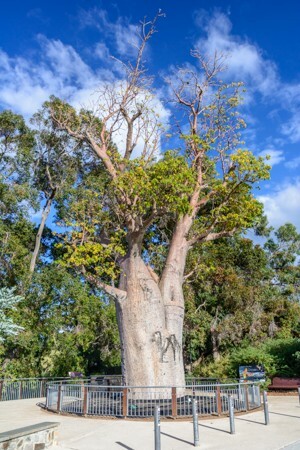 A secular baobab at Kings Park, Perth. Baobab grows predominantly in the Savannah occupying the tropical belt of Western Australia (mainly in the Kimberly). 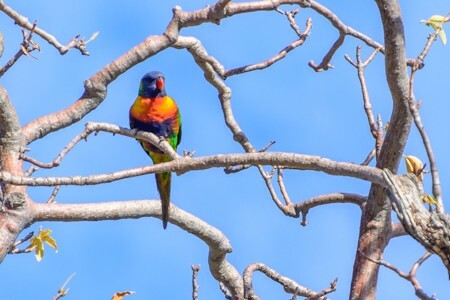 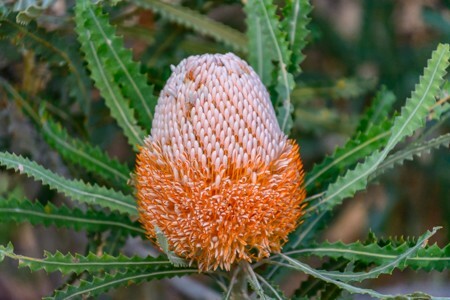 More photos of Kings Park, with flowering plants, colorful birds and large green areas. 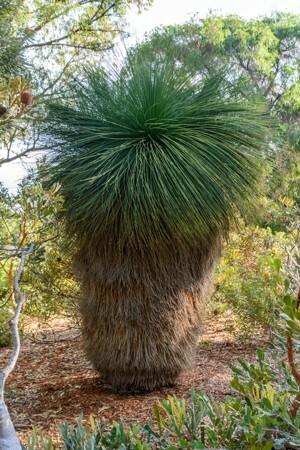 The Xanthorrhoea preissii, also known as balga or grasstree, is a plant that can be found along limited areas of western Australia. It is called "grass tree" because when adult, has a trunk that can be up to 3 meters high. 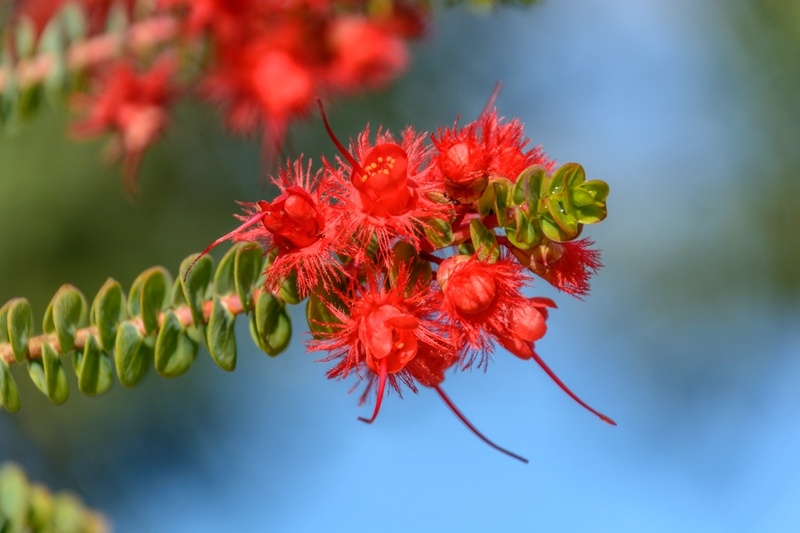 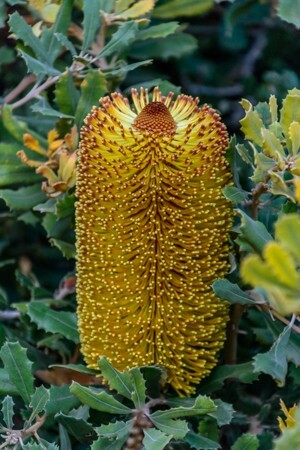 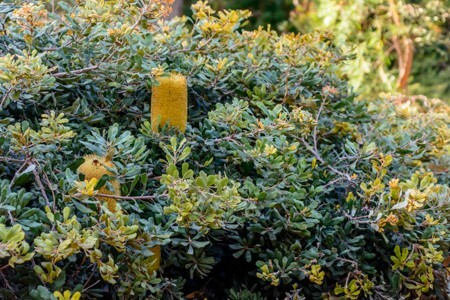 In Kings Park you can see numerous species of Banksia, shrubs and small native trees of Australia, which produce elegant inflorescences of various shapes and colors. 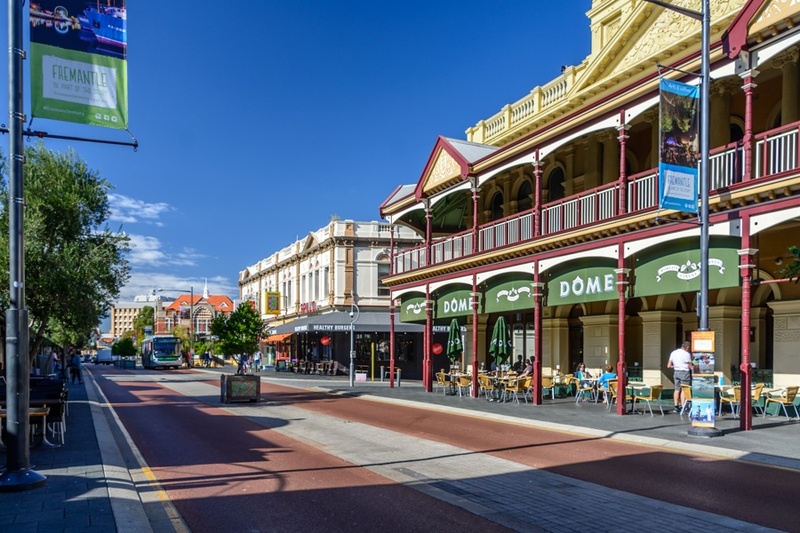 Less than 20 kilometers from Perth, linked by trains and buses, Fremantle is a town that is certainly a "not to be missed" place if you have at least half a day's time. 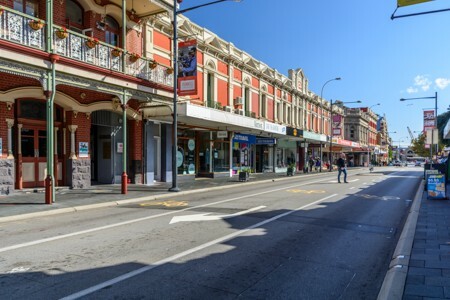 The old town has colonial-style buildings built since 1829, when the small local population was integrated by the prisoners from Europe in order to obtain an adequate workforce to build Perth and Fremantle itself. 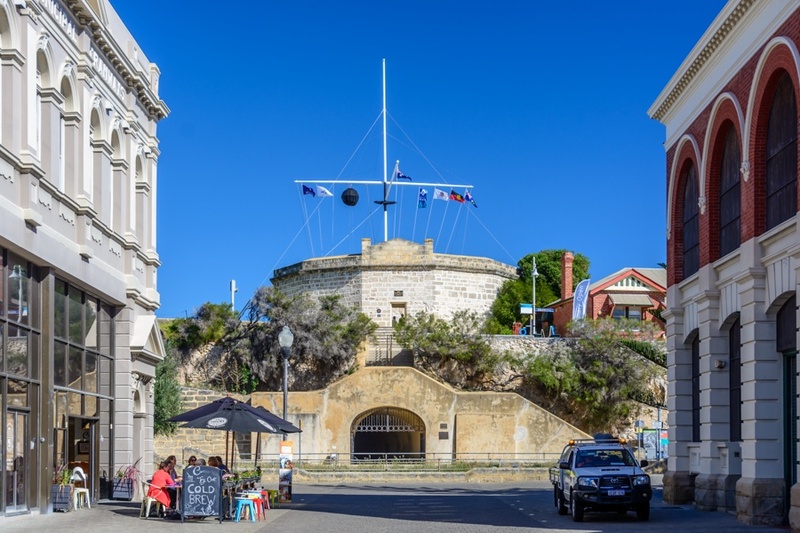 The Round House is the oldest historic building in Western Australia and its construction dates back to 1830-1831. 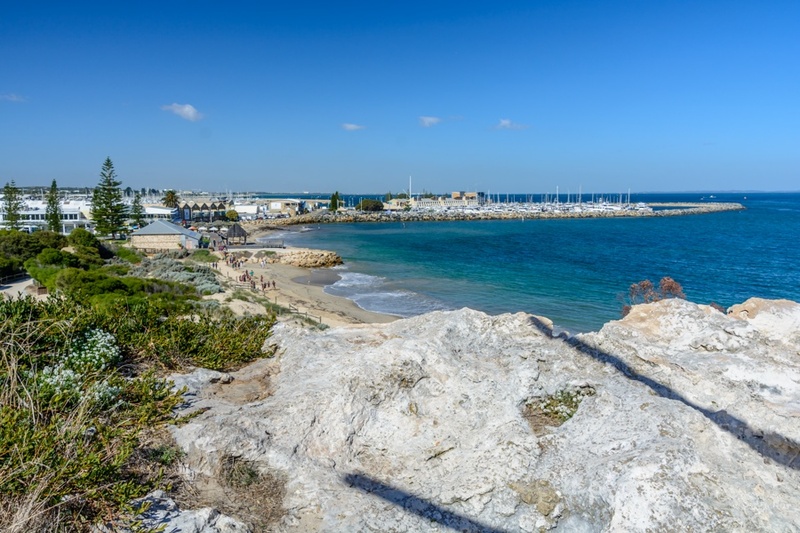 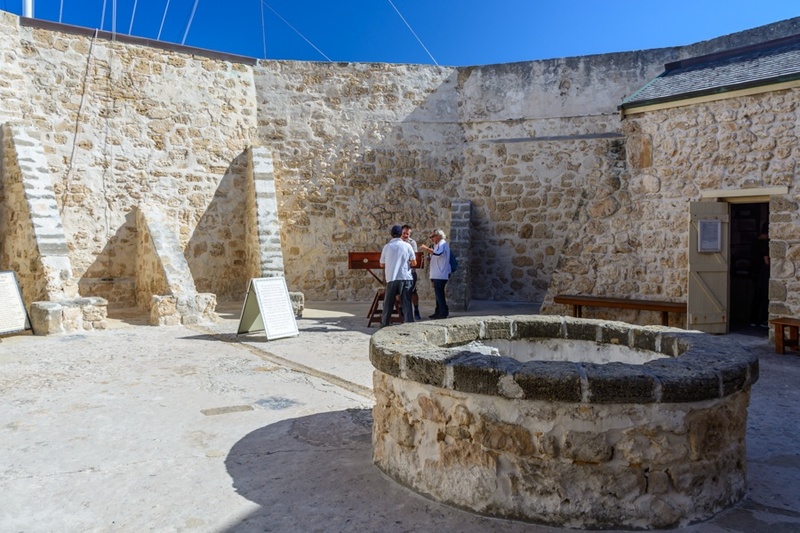 For its position on top of a cliff, it was used as a fortress and as a jail before the main prison of Fremantle was built. 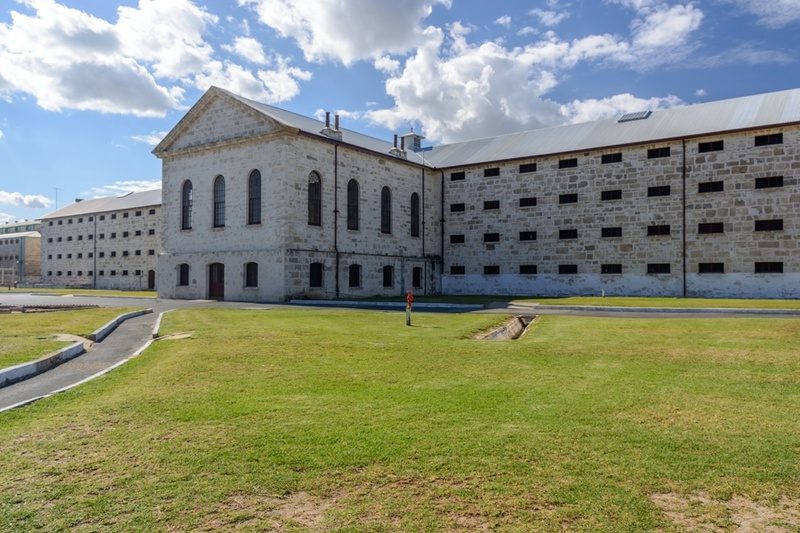 Fremantle Prison was built by the first prisoners deported to Australia and housed the criminal colony itself before being converted into a regular jail. 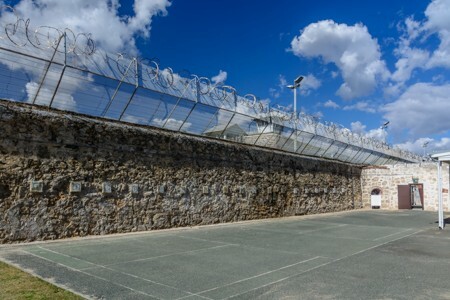 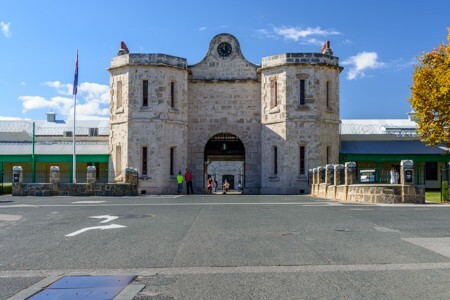 The Fremantle Prison was definitively closed in 1991 and is currently included in the UNESCO Heritage List for its historical and cultural value. 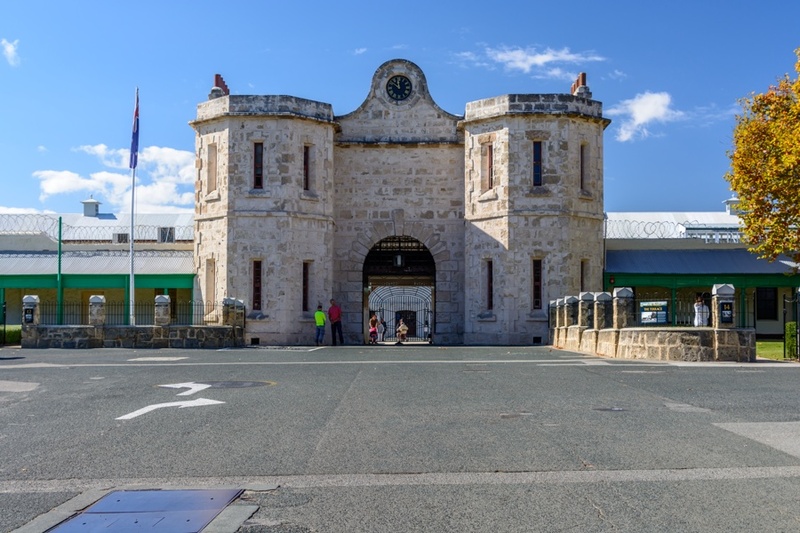 The Fremantle Prison was built by the first prisoners deported to Australia and housed the criminal colony itself, before being converted into a regular jail. 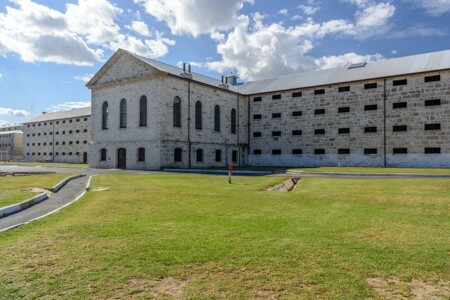 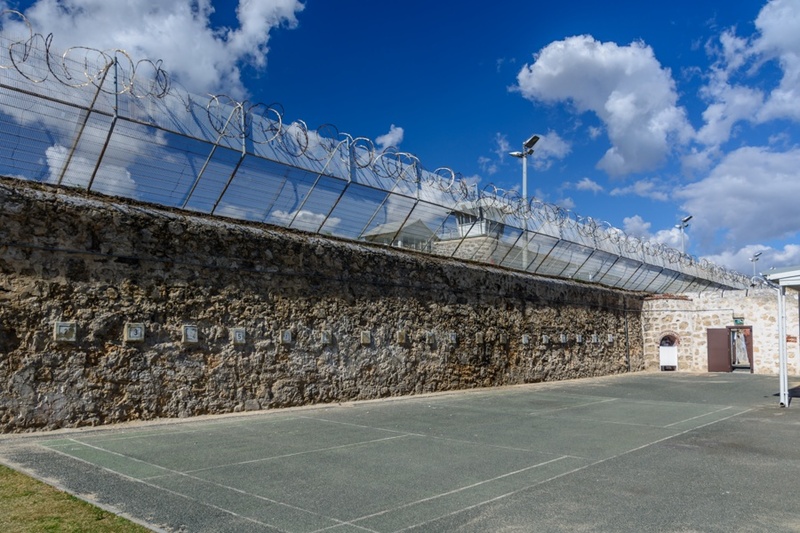 The Fremantle Prison was definitively closed in 1991 and is now included in the UNESCO Heritage Site list for its historical and cultural value. 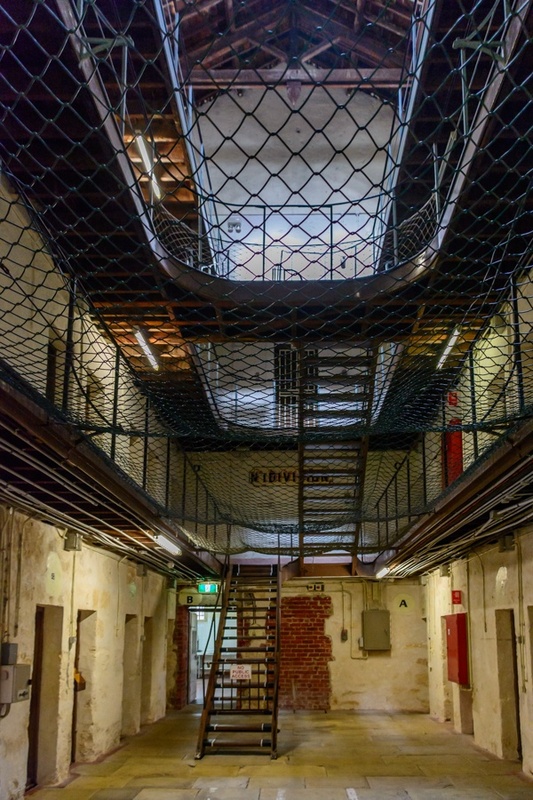 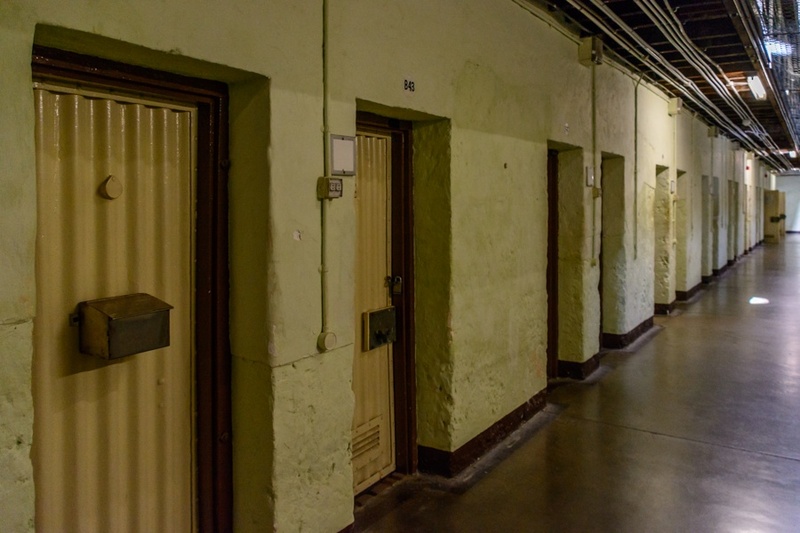 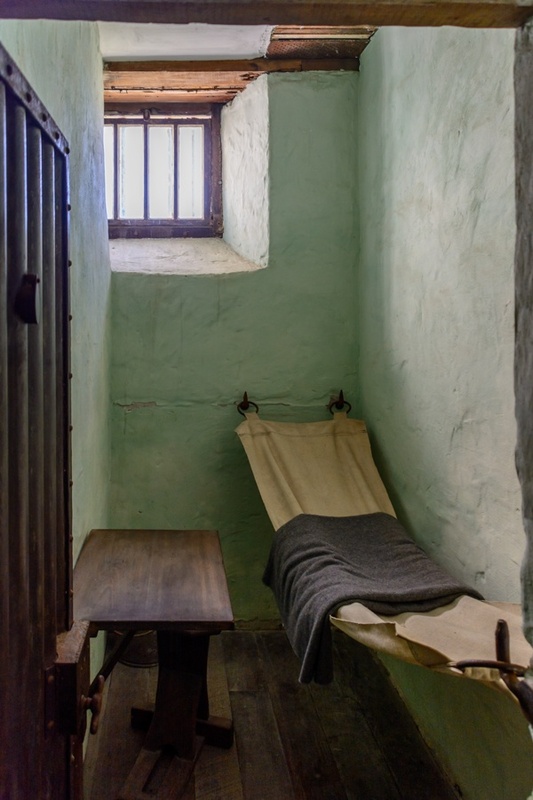 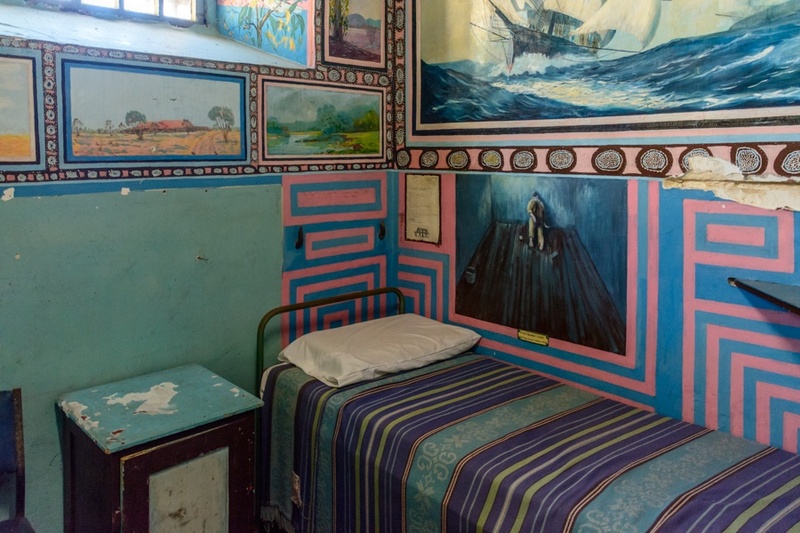 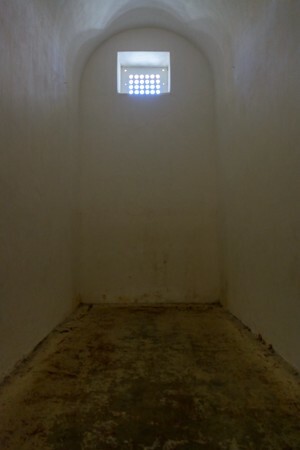 Initially the cells in the Fremantle Prison were very small and had only room for a narrow hammock and a bedside table (photo on the left), while the isolation cell, used as a punishment, was totally empty. 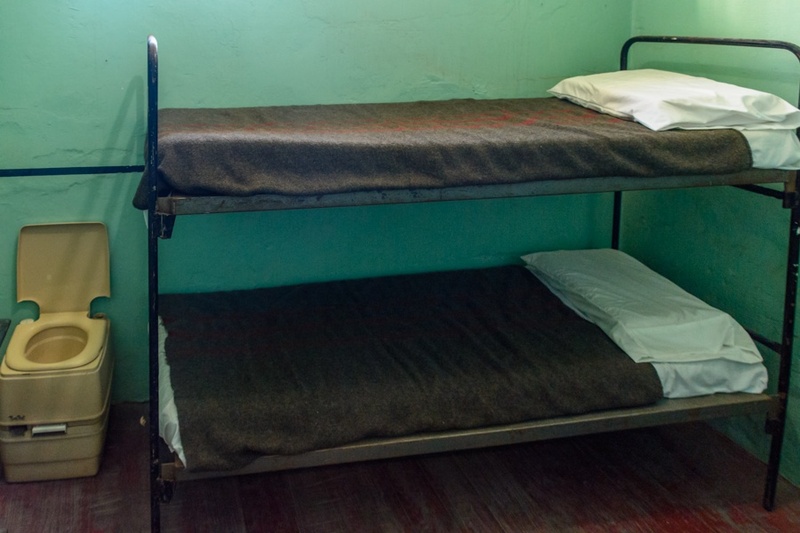 Subsequently the cells were progressively improved: regular beds were added, with the cell that could be shared with a friend. 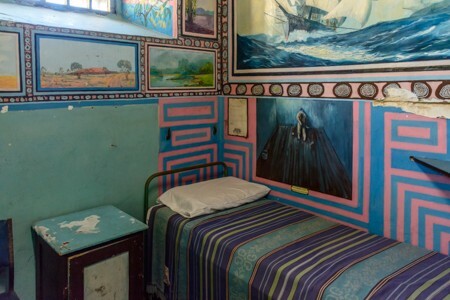 In very rare occasions, prisoners were given the opportunity to practice some hobbies, such as painting (photo at bottom left). In Fremantle jail, 44 death sentences were executed by hanging between 1889 and 1964. 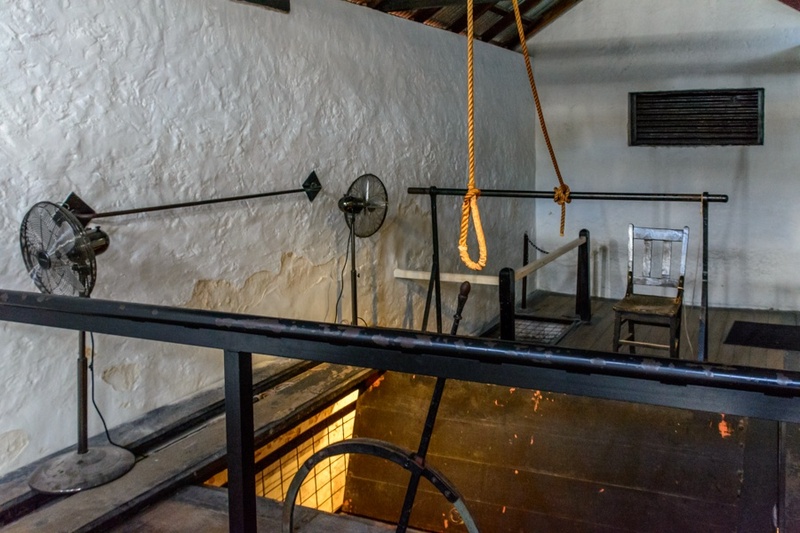 The death penalty was officially abolished in Western Australia in 1984. 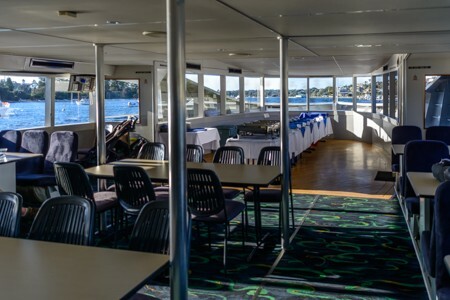 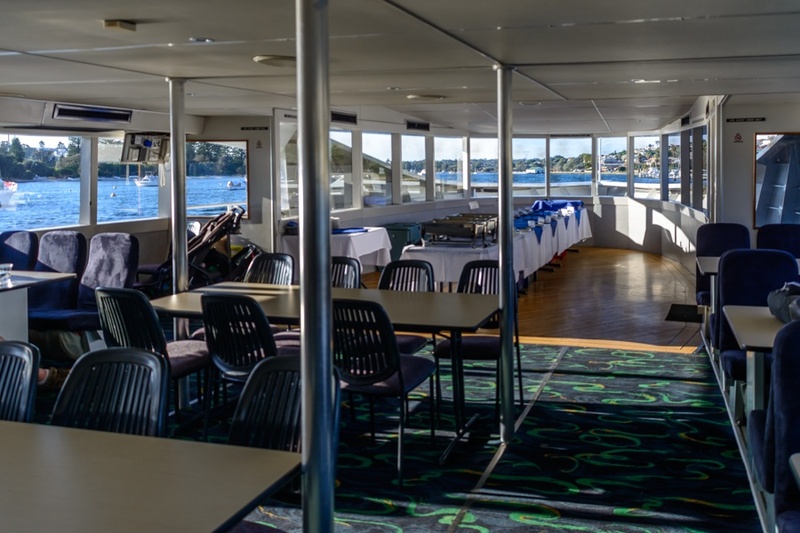 After visiting Fremantle, I choose to return to Perth by ferry: the journey time is about an hour and you can enjoy the beautiful landscapes along the Swan River and the harbor. 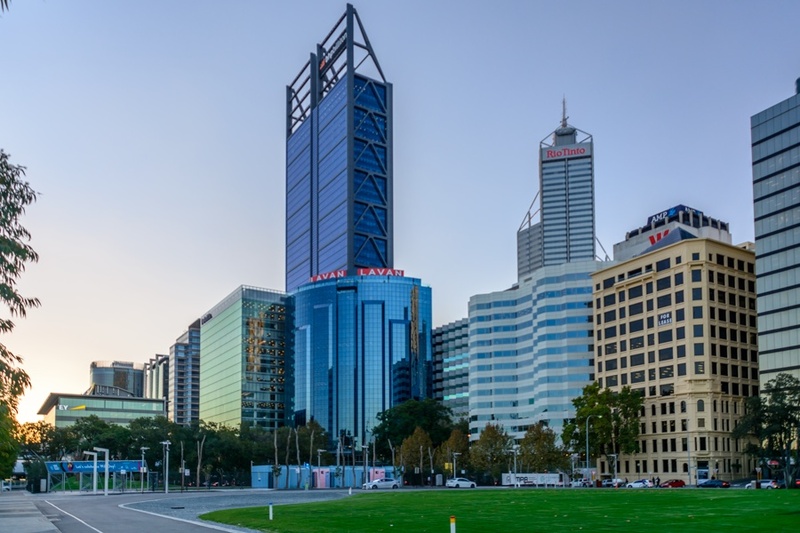 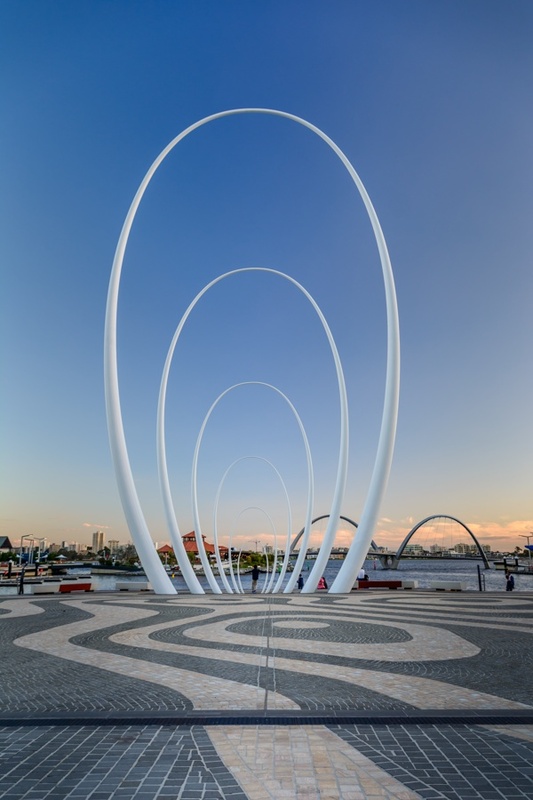 The neighborhood of Elizabeth Quay in Perth, not far from the harbor and the skyscrapers of the center.